We recently helped a family, who lived in Boston’s North End, move into their new home in Weston MA; they were expecting twins, and didn’t have enough room in their small apartment in Boston. They recently had a baby shower, so all of their “baby stuff” had to be loaded into the truck, along with their furniture and other belongings; this, of course, was not a problem for us, but it did add to the couple’s stress just a tad! When they initially scheduled the call, they did not know they were having twins, so they didn’t realize that they would have extra baby objects! Since the wife was pregnant, the couple signed up for our packing services, because it would be a lot of work for one person to lift and pack everything; so we came with all of our packing material, and room by room we started packing things away. Once everything was packed and labeled, we began the loading process. We made sure to be extra careful with all of their products, especially the baby stuff. We were able to successfully load everything into the truck because we were able to get a parking spot right outside of their apartment; usually, when clients schedule moves, we ask them to reserve a parking spot as close to their location as possible; with Boston that is extremely difficult, but luckily for us the couple got it done! The trip to Weston wasn’t too difficult either; we went in the middle of the week, during noon time, so the Mass. Pike was pretty much clear. If you’re planning on moving, we suggest that you make an appointment a few months in advance so that you have time to pack and get everything organized before the moving day. For a free moving estimate, please give Boston Rare Movers a call at 617-825-7273. We just finished moving a family of three from the South End of Boston to a neighborhood in Newton MA; this couple just had a baby, and they didn’t want to raise her in the city, so they decided to move to a quiet neighborhood in Newton, which is located just miles down the street from Boston. The couple called us and asked for an estimate for a move from Boston to Newton; we asked them if they lived in an apartment or home, what the parking was like, how many “big” items were they moving, and if they needed our packing supplies and services. In response to this the couple said that they would be moving three couches, two big screen televisions, a kitchen table, a dining room table, four chairs, and five stools. They also said that they did not need our packing supplies or services. So based on the amount of belongings they were bringing, and based on the fact that they did not need our packing supplies, we were able to give them an accurate estimate. After we gave them the estimate, they gave us a call back about two days later to schedule a moving day; they told us that they did some research, liked what they read, and also liked the price. So we scheduled a time that worked best for them. After we booked a time, we gave them some of our moving tips, to help them prepare for this adventure! The moving day arrived, and the couple followed our tips, and had everything packed and ready to go! We carefully grabbed all of their big items first (couches, table, etc.) and loaded them onto the truck. Then, we gathered all of the boxes, and loaded them on the truck as well. We advised the couple to keep their china and glassware with them in their car, just to be safe. The street their apartment was on was a little bit narrow, which is what they told us during the initial consultation, so we asked them to reserve a parking spot for our truck as close to their apartment as possible; they did exactly what we asked, and the move went great! We did have to climb some stairs, as they were on the fourth floor, but our athletic and experienced moving crew handled the stairs like the professionals they are! The move went great,we made great timing, and we arrived to Newton right on schedule. The couple was satisfied with our moving services and said that they would recommend our moving services to friends and family! For more information about our moving services or for a free estimate, please give Rare Movers a call at 617-825-7273. We are looking forward to providing you with a stress-free moving experience! Moving can be very stressful, which is why we do everything in our power, here at Boston Rare Movers, to make moving as quick and efficient as possible; because of our years of experience, we have been able to compile some tips that can help create a stress-free move. Make a List & Label Everything! Before you decide to even one box, stop for a minute, and make a list of all the contents you are shipping. Once you have that list, you can start to organize your things based on similarity; for example kitchen goods should be packed together, bedroom products together, etc. Make sure to label each box, i.e. bedroom, kitchen, living room, etc. That way when you are unpacking everything is already organized, and all you have to do is take everything out of the box. Pack in Advance. Be sure to pack weeks, even months in advance to your moving day; you do this for two reasons: 1. so you don’t run out of packing supplies the day of the move, 2. moving day is going to be so crazy, you will be happy that everything is already packed and ready to be loaded on the truck. We of course, offer packing services; if you’re interested in our packing services, you will need to book that service in advance! Believe us, the last thing you want to do before your big move is last minute packing! Do you Have Enough Packing Supplies? Make sure you purchase enough packing supplies! This step goes hand and hand with pack in advance; if you pack weeks in advance you will have a pretty good idea on how you stand on packaging supplies. You would hate to run out of boxes, or tape the day of the move; the key to moving is to be organized and to stay ahead, you can’t procrastinate! Protect the Valued Items! During the moving process, we always do our best to keep all of your products in the same condition we found them in; one way we do this is by telling our customers to safeguard their valued products! Make sure glass, plates, china, antiques, whatever it may be, is securely packaged with lots of cushion for the truck ride. If you need help with this we will be more than happy to pack up some of your valued products; again, you just have to let us know in advance if you need assistance in packing! Hold on to Important Documents & Paper! Hold on to all birth certificates, mover estimates, school records, new job contacts, bank records, bills, closing papers, realtors information, etc. and make sure they’re in a safe place. Don’t pack them in boxes and have them loaded onto the truck; keep them in a brief case, a purse, a backpack, and have them sit with you in the car! Of course these are just five of the lengthy moving tips we offer to all of our customers. 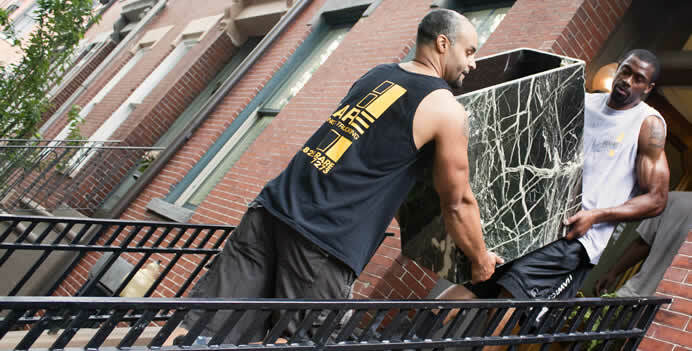 For more information about both our moving services, and our tips, please give Rare Movers a call at 617-825-7273. We are looking forward to creating a stress-free moving experience for you and your loved ones!